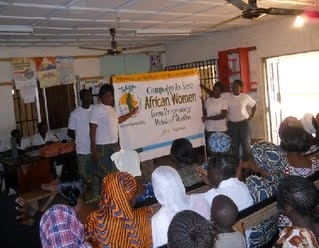 In Nigeria, seminars and workshops on maternal health were organized in Ekiti and Delta state. Also, "SAVE" rallies were held in over eight states including Lagos, Kwara, Delta, Oyo, Niger, Ekiti, Yobe and Osun. At the moment, active mobilization of communities and governments are taking place in Kaduna, Kano, Abuja, Abia, Imo and other States. 7UP Plc is sponsoring some "SAVE" programs in Osun and Kwara State. Furthermore, Governments of various states have indicated an interest to support the "SAVE" program. The "SAVE" program is enjoying the support of a host of organizations, philanthropists and community members. Several goodwill donations have been received. Click here to see pictures and reports. In Cote d’Ivoire, the SMI- SAVE Team has donated food and household items to orphanages and underprivileged women. The Team are continuing to expand their operations in all the communities in Cote d’Ivoire. Area coordinators have been appointed to oversee the smooth operation of SMI programs within these communities. There are ongoing plans to build dormitories for orphans and to construct a modern maternity hospital in some rural areas. Click here to see pictures of past programs and report. 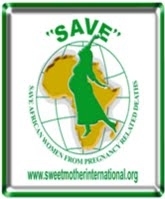 A 'Save African Women from Pregnancy-Related Deaths' ("SAVE") rally was held in Liberia. Great successes were achieved. The "SAVE" Team met with Liberian leaders including the Speaker of the House of Representatives alongside other parliamentarians and government representatives During this occasion, the Speaker of the House assured the "SAVE" Team that the issue of maternal health will be giving priority and that, priority will be given to the training of nurses and increasing funding for maternal health facilities. Click here to see pictures and read full report.